Sorvetes Mania is an ice cream company in João Pessoa, Paraíba state, Brazil. 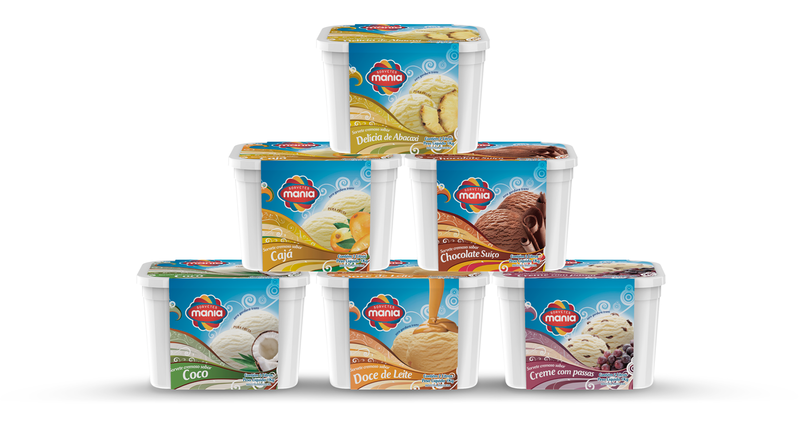 The line of products for wich we developed package design includes 2l pots, water and milk based ice lollys, truffled ice lollys and ice cream cones. For the ice cream cones we created the Magicone brand, that translates into english as Magic One and into portuguese as Cone Mágico. We came up with this name using naming methodology that applies linguistic filters, synonyms and relations search in numerous languages. In each line we sought to transmit the proper appeals of the product, presenting the flavours in an amusing and elegant fashion. In addition, our creation parameters considered the environment in which the product is sold, main competitors and diversity of consumer public. The image of the product is always given great value in order to awake consumers desire to buy. 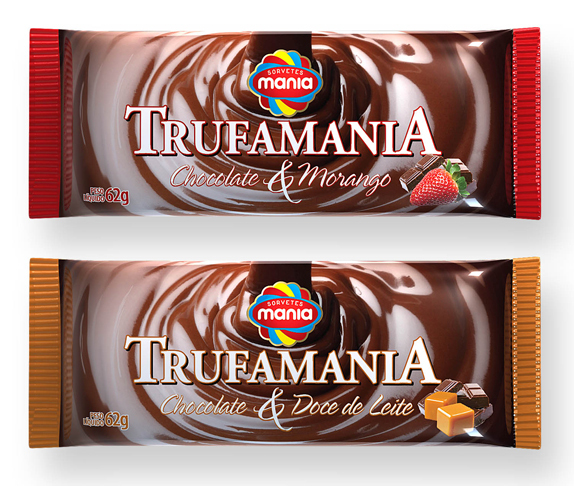 Our ice lolly and ice cream package design for Sorvetes Mania became an important differentiation of the product. In points of sale, the difference is evident. Each product has its own attractive appeal. And the complete range creates a visual volume that highlights the brand. 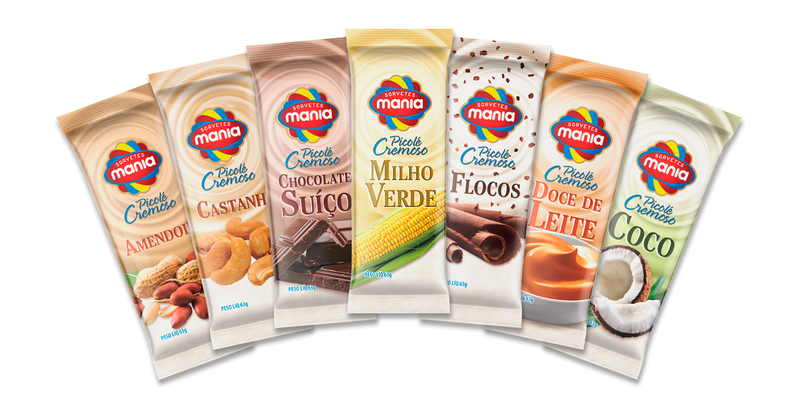 The outcome was a real increase in sales and the consolidaton of the brand in the Paraíba region.